I will never forget watching TV as the driver taped Joran van der Sloot’s confession in his cab. It chilled me to the bone as this satan detailed the murder of Natalee Holloway. Later he said he was joking. Joking? About snuffing out the life of a beautiful young girl? Now he has confessed again … to the killing of another young girl. What is more horrific is the path this demon used to reach his second victim. 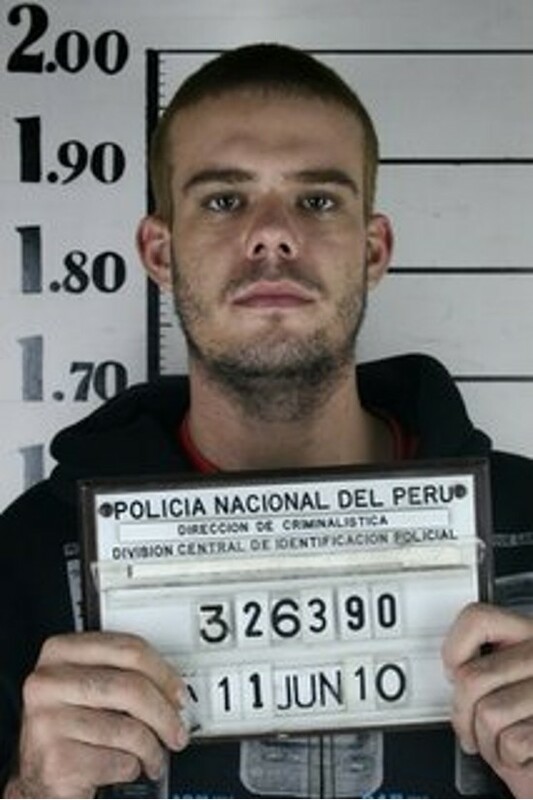 Joran van der Sloot needed money. No problem, he extorted it from the first victim’s mother, Beth Holloway. He promised information about the circumstances of Natalee’s death and the location of her body. The desperate mother handed over $15,000 and the killer slid out of town. The snake wound his way to Peru, where he booked a hotel room and later entered an International poker tournament. Before long he hooked up with Stephany Flores. The good times were rollin’ and they ended up in his hotel room. Stephany would not leave alive. When Stephany Flores was found the trail led straight to the vile and vicious serpent. It wasn’t long before van der Sloot confessed. He admitted to eating breakfast and sipping coffee while contemplating how to dispose of her body. Lima police say the prisons are controlled by criminal mafia; that inmates have to pay for protection. Joran will need lots of money if he is to survive. Another thing, it could take years for his trial to begin. The serpent better find a big rock. Will Marci awake from her coma? Will she regain her memory? Will Lance win back her love? This entry was posted in Crime and tagged Beth Holloway, body, confession, crime, Joran van der Sloot, money, murder, Natalee Holloway, serpent, Stephany Flores, trial. Bookmark the permalink.